Northland and Auckland district health boards (DHBs) have been given the green light for the long-awaited upgrade to their clinical record portal, according to an official release by healthAlliance, the Northern region’s shared IT service provider. The two DHBs’ current system, Concerto 6, will be replaced with the latest version of Orion Health’s clinical record viewing software Clinical Portal 8 by early 2020. The project follows the successful implementation of Clinical Portal 8 at Counties Manukau and Waitematā DHBs in 2018. It will result in a single, connected clinical viewing system that will deliver a patient-centric record accessible from any Northern region DHB location, including authenticated health providers. Clinical Portal 8 is a patient-centric dashboard to view health information. It includes medical alerts, radiology and laboratory results, clinical history and patient movements from a variety of clinical applications. Once rolled out at Northland and Auckland DHBs there will be 24,700 users in the region supporting a population of 1.8 million people. For the many clinicians who work across one or more DHBs, the user experience will be consistent regardless of location, and their access to information will improve. Underlying infrastructure upgrades will also provide more resilience, while single sign-on functionality means it will be faster and easier for clinicians to access patient data. The upgrade projects are being managed by healthAlliance in collaboration with the DHBs and technology provider, Orion Health. In December 2018, a national group was formed to start work on linking New Zealand’s four regional clinical portals, with approval from the DHBs chief information officers. The group is being led by Stella Ward, chief digital officer at Canterbury DHB. If successful, the project would allow any clinician involved in a patient’s care to view that person’s computerised health data from anywhere across the country. 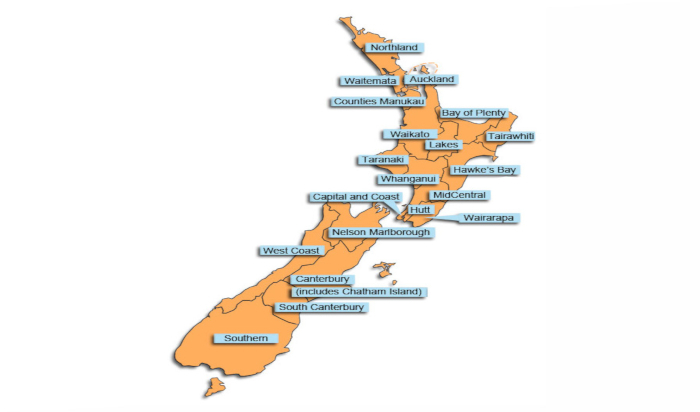 New Zealand’s 20 DHBs are grouped into four regions that each have a shared view of their region’s patient information via Clinical Portal 8 from Orion Health. Of the 20 DHBs, three are not yet using their regional shared portal, but all have imminent plans to move on to one. Project sponsor and Northland DHB General Manager, Medicine, Health of Older People, Emergency & Clinical Support, Neil Beney, says the regionally-connected clinical portal will form the largest patient information ecosystem in New Zealand. healthAlliance Chief Clinical Information Officer Dr Karl Cole says the upgrades are part of the foundational work of the region’s IS Strategic Plan (ISSP) which aims to join up the DHBs through technology and prepare them for a rapidly advancing digital future. “A modern regional Clinical Portal is a key enabler for improving patient care in our communities so it’s a very exciting time,” Cole says.